Veeam Archives - VIRTUALIZATION IS LIFE! Yesterday at Cloud Field Day 5, I presented a deep dive on our Cloud Tier feature that was released as a feature for Scale Out Backup Repository (SOBR) in Veeam Backup & Replication Update 4. The section went through an overview of its value proposition as well as deep dive into how we are tiering the backup data into Object Storage repositories via the Capacity Tier Extend of a SOBR. I also covered the space saving and cost saving efficiencies we have built into the feature as well as looking at the full suite of recoverability options still available with data sitting in an Object Storage Repository. This included a live demo of a situation where a local Backup infrastructure had been lost and what the steps would be to leverage the Cloud Tier to bring that data back at a recovery site. Once a Capacity Tier Extent has been configured, the SOBR Offload Job is enabled. This job is responsible for validating what data is marked to move from the Performance Tier to the Capacity Tier based on two conditions. The first condition is all about setting a policy on how many days you want to keep data locally on the SOBR Performance Tiers which effectively become your landing zone. This is often dictated by customer requirements and now can be used to better design a more efficient approach to local storage with the understanding that the majority of older data will be tiered to Object storage. The second is around the sealing of backup chains which means they are no longer under transformation. 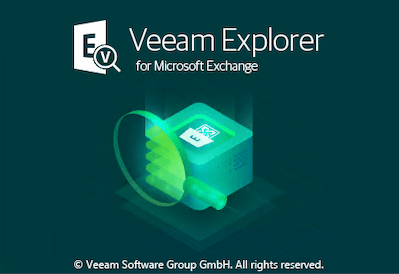 This is explained in this Veeam Help Document and I also go through it in the CFD#5 session video here. Once those conditions are met, the job starts to dehydrate the local backup files and offload the data into Object Storage leaving a dehydrated shell with only the metadata. The importance of this process is that because we leave the shell locally with all the metadata contained, we are able to still perform every Veeam Recovery option including Instant VM Recovery and Restore to Azure or AWS. Looking at the above image of the offload process you can see that the metadata is replicated to the Object Storage as well as the Archive Index which keeps track of which blocks are mapped to what backup file. In fact for every extent we keep a resilient copy of the archive index meaning that if an extent is lost, there is still a reference. After the synchronization is complete, all the backups located in object storage will become available as imported jobs and will be displayed under the Backups and Imported in the inventory pane. But what better way to see this in action than a live demo…Below, I have pasted in the Cloud Field Day video that will start at the point that I show the demo. If the auto-start doesn’t kick in correctly the demo starts at the 31:30 minute mark. 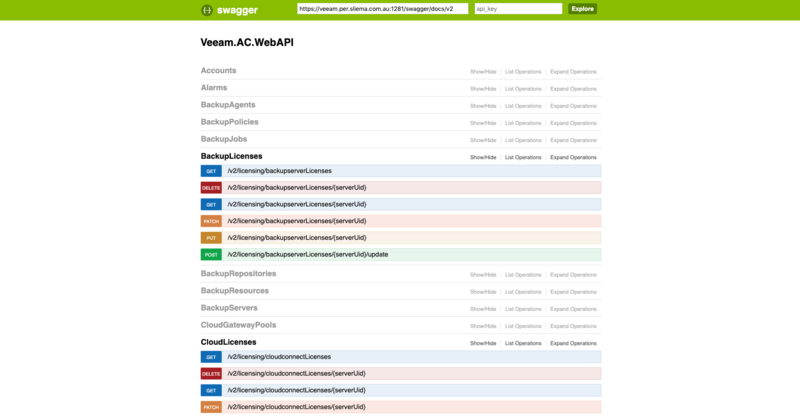 A couple of weeks ago, Veeam Availability Console v3.0 (3.0.0.2647) was released. With this major update, VAC is now the central Console providing management and monitoring of Veeam Cloud and Service Provider partner offerings. 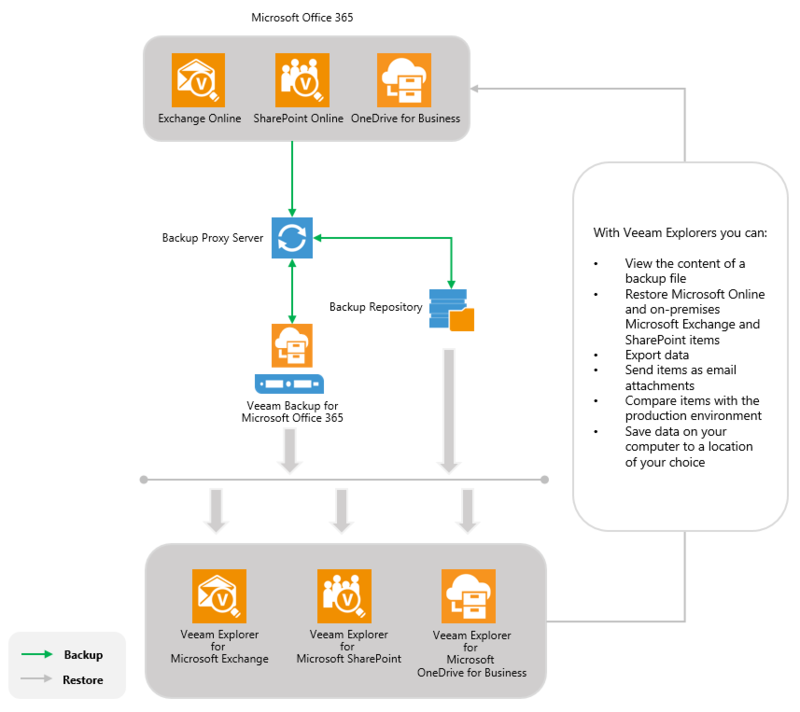 Not only does it build on the previous releases, but also looks to place VAC as a critical component of any Veeam powered service provider offering. In addition to the existing features the enhancements are a direct response to product feedback and also reduces a lot of the pain points that VCSPs have in managing and monitoring their own partners and customers. If you want to get the complete low down on what’s included in this release, the What’s new document can be accessed here. I’ve listed the key new features and enhancements below and expanded on them in the main body of the post. 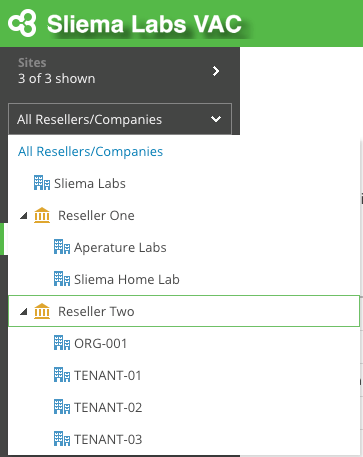 Since the introduction of Veeam’s Backup & Management Portal back in 2016 the desire for a reseller tier was top of list for our VCSPs and while it’s taken a few more iterations of the product for it to appear as a feature the addition of the Reseller Role in VAC v3 is significant. This allows the top level VCSP to carve out reseller accounts which allows their reseller partners to manage, monitor and control their own customers. We also have the ability now to allocate Resellers Site Scopes. Site Scopes are based on Cloud Connect Service instances of which now in v3 we can add multiples (see below). Resellers have control over their customers and can sub allocate backup resources that have been allocated to them from the VCSP. They also have the power to remotely manage on-premises Backup & Replication servers including the ability to install licenses (see below) which is a huge addition to VACs feature capability. This alone is worth the price of admission! The Reseller Console contains almost all administrative functions including the ability to brand the portal but obviously does not have access to core Cloud Connect infrastructure or the ability to manage other important VCSP configuration items. Again, one of the biggest pieces of feedback we received from VCSPs was for a single VAC instance to be able to be connected to multiple Cloud Connect servers. This effectively removes the one to one relationship and have a one to many feature that truely allows VAC to be a central point of management. A single VAC instance can also support 500 resellers and up to 1000 active portal users. 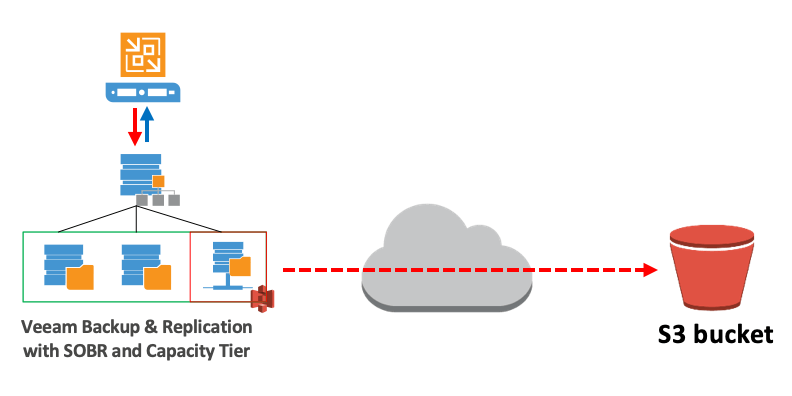 In line with this there is also a new User Role that allows more granular access to specific Cloud Connect Servers that can be managed by VCSP technical staff. No one has ever said that managing licenses is fun! It’s a necessary evil in the software world and can always be frustrating. When looking at managing customer licenses for on-premises installs under management that frustration can be multiplied almost exponentially. I would be selling the new licensing features in VAC v3 short if I didn’t say that it was my favourite feature enhancement and almost the single reason why VAC should be installed by all VCSPs. 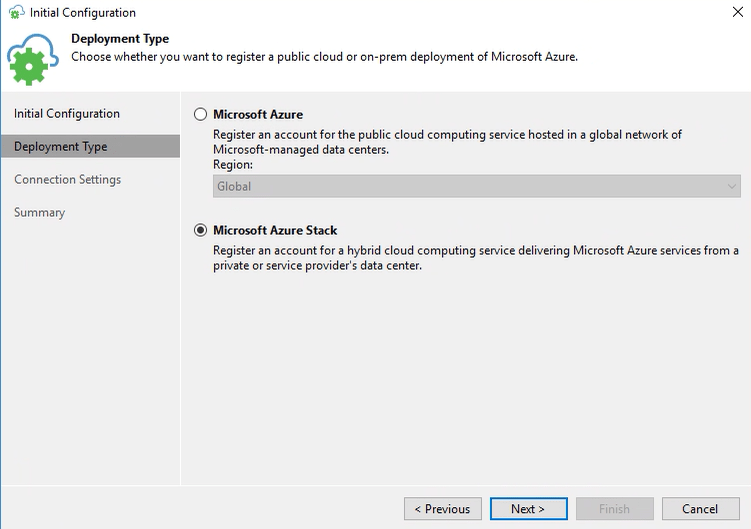 From the Configuration menu under Licensing there is now the ability to view Cloud Connect and all Backup Servers under management. The view above is the top level VCSP view… a Reseller will see only Backup Servers under their own management, though the functionality is the same. 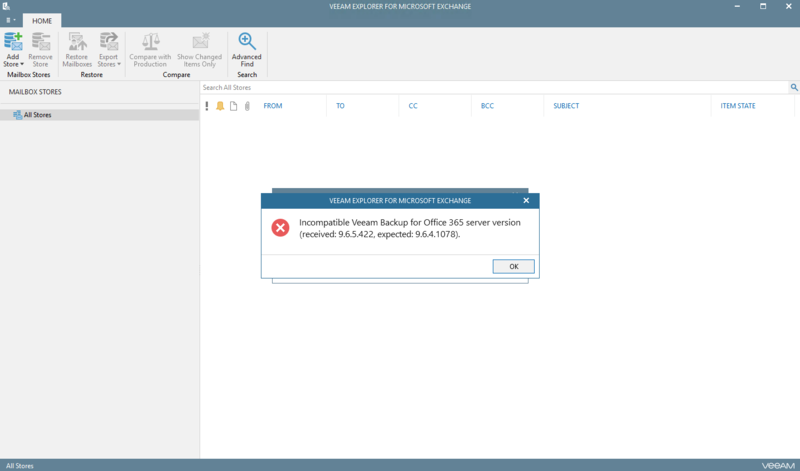 The Install action can be used to remotely deploy and install a Veeam License either directly to the connected Cloud Connect Servers, or remotely via the Cloud Connect Gateway tunnels to on-premises Backup servers. There is also reporting on the current status of the existing licence and alerts can be configured to notify VCSPs, Resellers or Customers about an impending license expiration. All this can also be done via new API calls. In addition to the management of the licenses the reporting has been enhanced to the point where VAC will become the source of truth for all license reporting. The Monthly Usage Report are generated from all connected Backup and Cloud Connect Servers and will produce reports that are downloadable for the VCSP or Reseller while also being available via the API. The RESTful APIs in VAC v3 have been enhanced to include actions to configure and manage areas of the VAC install. Previously the API was used for pulling data and reading configuration items, however there has been a number of actionable items added in this release. Importantly these new POST, PUT and PATCH requests marry up with most of the new features listed above. Again, the ability to deploy and install license to remote Backup Servers via Cloud Connect from an API is important and I know this will be hugely popular with our VCSPs who have automation capabilities. 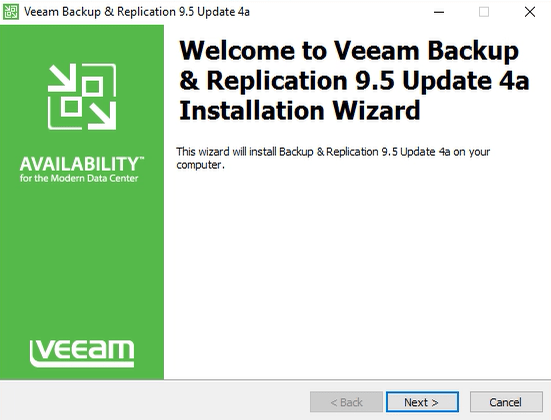 This release also delivers full support for all recently shipping Veeam products including Veeam Backup & Replication 9.5 Update 4 (Including Cloud Connect enhancements and vCloud Director support and integration) as well as Veeam Agent forMicrosoft Windows 3.0 and the new ability to create multiple jobs. There are also enhancements to support, Windows Event Logging and notifications while also increasing security. VMUG UserCon – Sydney and Melbourne Events! A few years ago I claimed that the Melbourne VMUG Usercon was the “Best Virtualisation Event Outside of VMworld!” …that was a big statement if ever there was one however, over the past couple of years I still feel like that statement holds court even though there are much bigger UserCons around the world. In fairness, both Sydney and Melbourne UserCons are solid events and even with VMUG numbers generally struggling world wide, the events are still well attended and a must for anyone working around the VMware ecosystem. Both events happen a couple of days apart from each other on the 19th and 21st of March and both are filled with quality content, quality presenters and a great community feel. This will be my sixth straight Melbourne UserCon and my fourth Sydney UserCon…The last couple of years I have attended with Veeam and presented a couple of times. This year Veeam has UserCon Global Sponsorship which is exciting as the Global Product Strategy team will be presenting a lot of the UserCons around the world. Both the Sydney and Melbourne Agenda’s are jam packed with virtualisation and automation goodness and it’s actually hard to attend everything of interest with schedule conflicts happening throughout the day. …the agenda’s are listed on the sites. As mentioned, Veeam is sponsoring both events a the Global Elite level and I’ll be presenting a session on Automation and Orchestration of Veeam and VMware featuring VMware Cloud on AWS which is an updated followup to the VMworld Session I presented last year. The Veeam SDDC Deployment Toolkit has been evolving since then and i’ll talk about what it means to leverage APIs and PowerShell to achieve automation goodness with a live demo! If you are in Sydney or Melbourne next week try and get down to Sydney ICC and The Crown Casino respectively to participate, learn and contribute and hopefully we can catch up for a drink. With the release of Update 4 for Veeam Backup & Replication 9.5 we further enhanced our overall cloud capabilities by adding a number of new features and enhancements that focus on tenants being able to leverage Veeam Cloud and Service Providers as well as Public Cloud services. 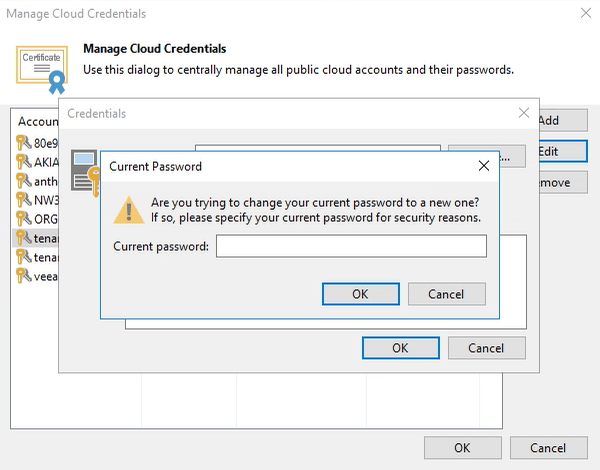 With the addition of Cloud Mobility, External Repository and Cloud Connect Replication supporting vCloud Director we decided to break out the existing credential manager and create a new manager dedicated to the configuration and management of Cloud specific credentials. 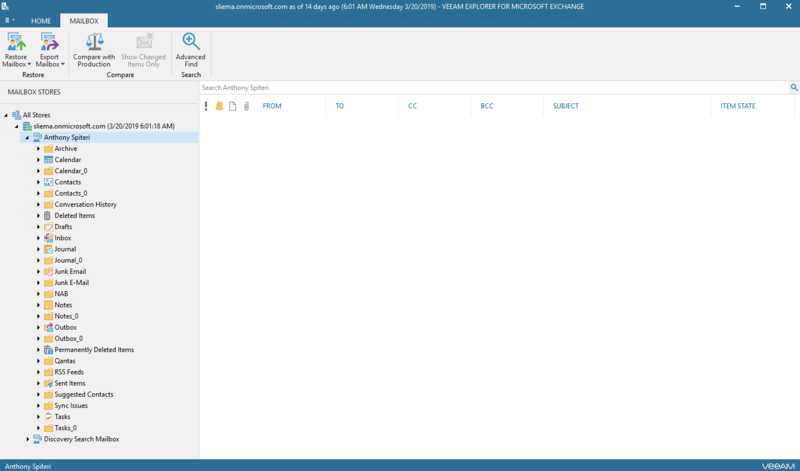 The manager can be accessed by clicking on the top left dropdown menu from the Backup & Replication Console and then choosing Manage Cloud Credentials. 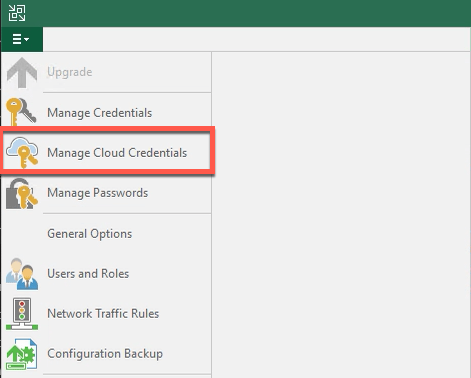 You can use the Cloud Credentials Manager to create and manage all credentials that are planned to use to connect to cloud services. The Cloud Connect credentials are straight forward in terms of what they are used for. There is even a way for non vCloud Director Authenticated tenants to change their own default passwords directly. 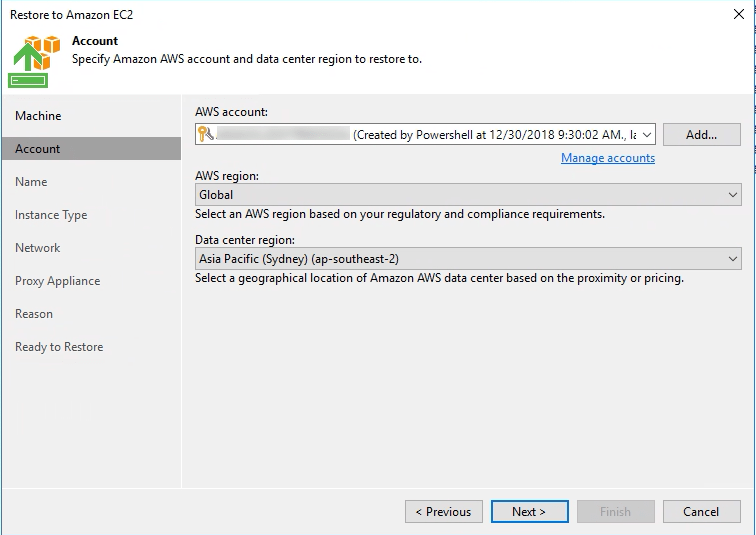 When it comes to AWS and Azure credentials the manager will allow you to configure accounts that can be used with Object Storage Repositories, Restore to AWS (new in Update 4), Restore to Azure and Restore to Azure Stack (new in Update 4). For those that would like to configure these accounts outside of the Backup & Replication Console, there is a full complement of PowerShell commands available via the Veeam PowerShell Snap-in. 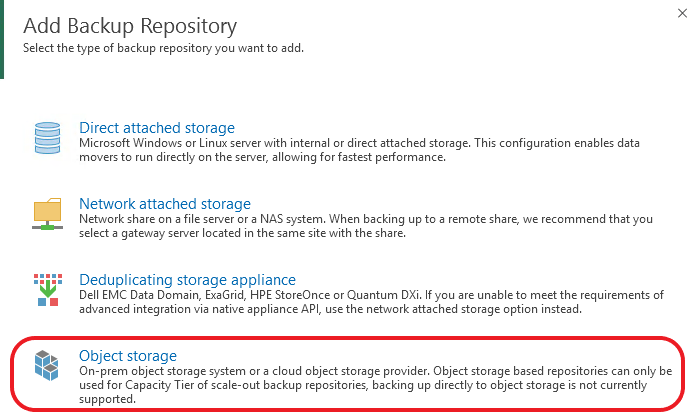 As an example, as part of my Configure-Veeam GitHub Project I have a section that configures a new Scale Out Backup Repository with an Object Storage Repository Capacity Tier backed by Amazon S3. The initial part of that code is to create a new Amazon Storage Account. For a full list of PowerShell capabilities related to this, click here. So there you go…a very quick look at another new enhancement in Update 4 for Backup & Replication 9.5 that might have gone under the radar.